We had some nice KC-DBA (expertise meetings) meetings in 2005. One of them was about virtual machines (VMware basically). 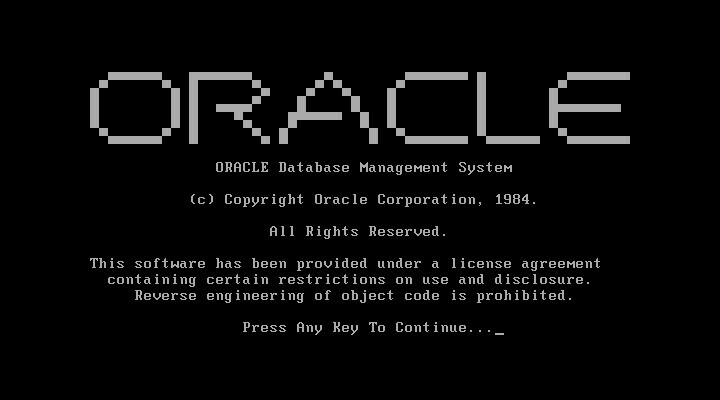 To show how you could use virtual machine technology to implement an environment which would be almost undoable nowadays to realize, a virtual machine environment was demonstrated with Oracle 4.1 installed based on MSDOS 6.22. 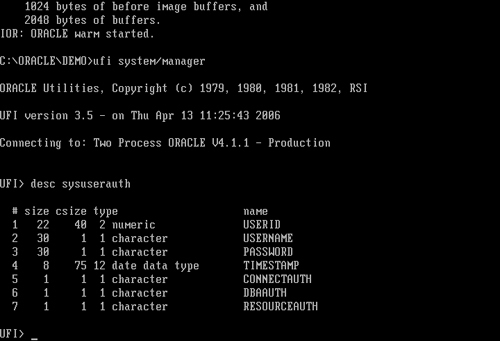 Thanks to Carel Jan Engel (one the infamous oaktable guys) - i was able to build a default Oracle 4.1 database environment with all the goodies like the UFI (the user friendly interface). The software does not understand the create database link statement, but maybe thats not the correct statement. 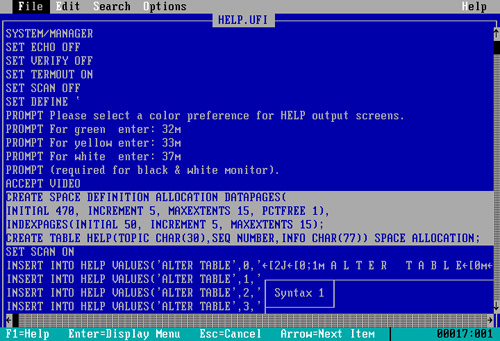 I also installed the "help" function, or enabled the help function by filling the "help" table…but there is no reference (as far as i could find) to "database link". 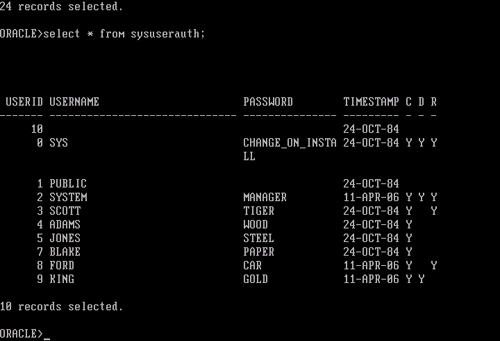 In Oracle 4.1 there isn’t a "system.users" table yet. See for extra info on order by mechanism handling NULL values the link pointed out by Frank on Tom Kytes blog (http://tkyte.blogspot.com/2006/09/dbforum-2006-in-past.html). As Tom always mentions (TEST, TEST, TEST). I double checked it (with commit and reverse insert of the values) and the behaviour shown is correct. [Marco] Frank pointed out that the link should be http://tkyte.blogspot.com/2006/09/dbforum-2006-in-past.html and indeed the are some nice pictures. I’m interested in a MS-DOS vmware appliance to install some old software other than Oracle. Do you have a link to download such file? Hello, I was sent this link from a fellow member on the Oracle-L list. 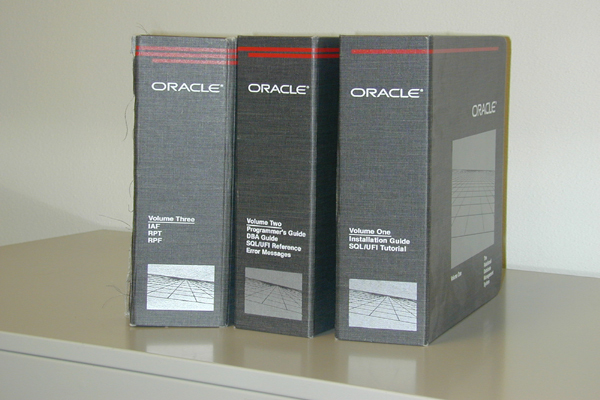 Basically, I misplaced/tossed my DOS PC Versions of Oracle 4, 5, and 6 (in this version I still have 12 utils/sql/etc disks but not the actual database disks). I would like to get them back if someone has them. This is just for personal use. I know I can download a free and more recent version but I enjoyed working with the earlier versions. These screenshots bring back memories. So if anyone can help, you may email me directly (theguru00@excite.com), thanks. A few things I found out. 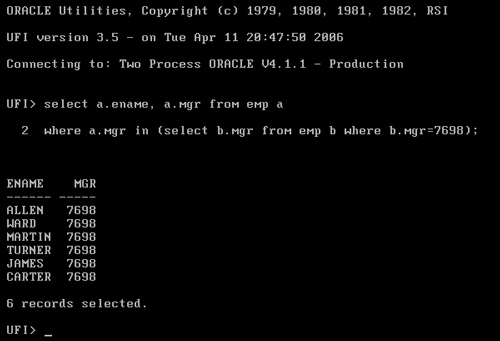 15 years with Oracle, but started with V6…. 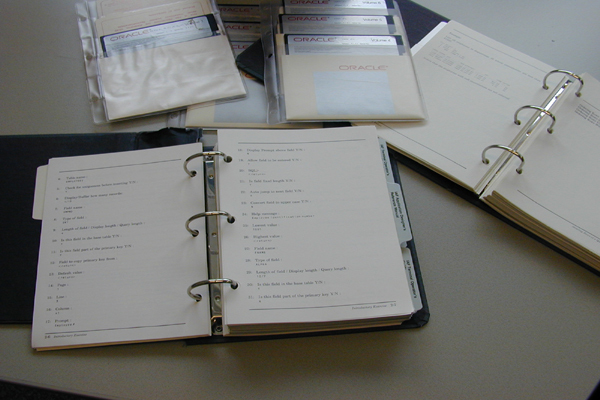 * Connect floppy drive by double-clicking on the floppy icon in the VM’s bottom status bar and activating “Connected”. o “Cannot read command file…” can be ignored. I googled for “login.ufi”, but there is no documentation to be had.